I have had a pet since I was born and became a dog lover. I have great connection with dogs. First I had a Belgian Shepherd since I was just one year old, and she lived for 14 years, growing together and loving each other a lot. When she had puppies one of them stayed at our home for 13 years. My dog and my best friend now is Wendy, a 6 yr old gold labrador. I've worked as a dogwalker and dogsitter for the last 2 years. I'm available to dogwalk and dogsit. I can also train dogs. I really love dogs and they love me. We have a great connection. Ale's service is located in or nearby Bondi Beach, New South Wales. Book via PetBacker for Insurance, Payment protection & 24x7 support. I think he was a dog in his past life, he loves them, and dogs love him, it's great! 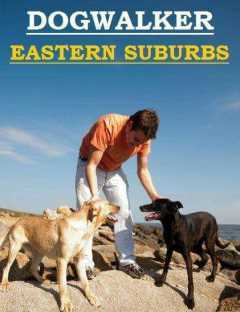 A dog lover, fun & responsible, recommended! Contact Ale now with your pets info. If Ale is busy, we can help include similar Backers.